Recommended by therapists, teachers, and parents. Slide the marble back and forth to soothe fidgety nerves and fingers. Fidgeting can actually stimulate your neural responses producing an increase in blood circulation to the brain and extremities. Boinks Fidgets are great in helping to reduce stress, help with generalized anxiety disorder, dementia, self-regulation, OCD, ADD/ADHD, autism, quiet play, and more. 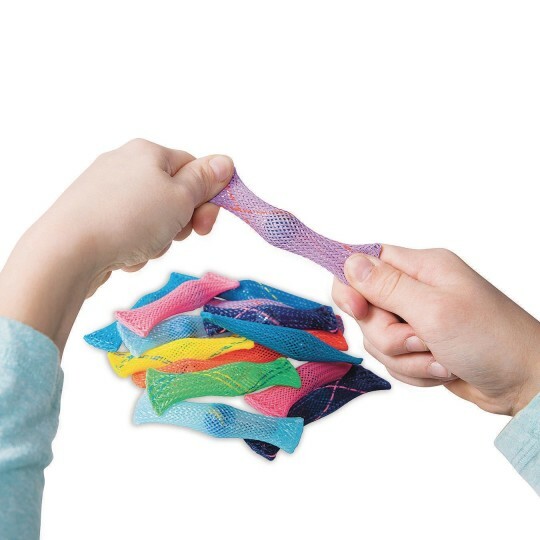 Fidgets can be used in a classroom, therapy setting, home, office or anywhere one needs to keep “quiet hands”. Recommended by therapists, teachers, and parents. I bought these for Dementia residents to keep their hands busy. I fidgeted with it for approx. an hour during a meeting to test it out and it fell apart. I grabbed another one and fidgeted for approx. 30 mins. and it fell apart. I will not be giving these to my residents if I can't assure they will stay together and the marble stays inside. This item has been a fabulous distraction tool for everyone all ages we've given them too. They wash up easily and we have had no quality issues like the last reviewer. In fact they are very well made. Have been using these every day now for over a year and they are all still in tip top shape. I wanted to use these with my third grade students who were in need of a fidget. I liked that they were small and wouldn't distract the other kids sitting nearby and they couldn't be picked apart like some foam stress balls. Unfortunately the first two that were used broke within 15 minutes. The fishline-type thread that holds each end closed came apart. I tried to super-glue one back together but the glue won't adhere to the plastic material. There has to be a better way to adhere the ends to keep the marble from falling out.